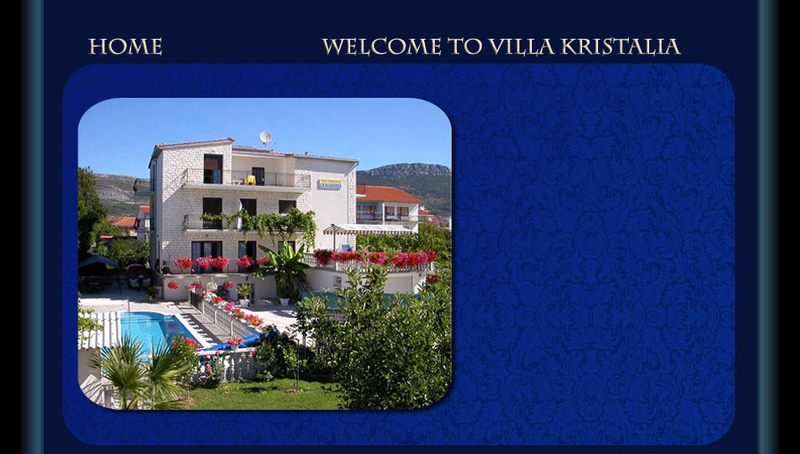 Croatia holiday villa in a dream | kristalia Villa rental - studio or apartment in Croatia. Villa Kristalia offers a pleasant stay for visitors who like to be at the heart of a picturesque village, situated between Split (15 km) and Trogir (7 km). You can enjoy the sun and the beauty of Dalmatia and its rich historical and cultural heritage. Villa Kristalia is located 50 meters from the beach and offers relaxation and tranquility, surrounded by a beautiful Mediterranean landscape, covered with pines and cypresses. It opens on a beautiful beach with a generous view on the island of Ciovo. Its interior is very nice and comfortable. You will not fail to feel the friendly environment and you will soon become a family friend.